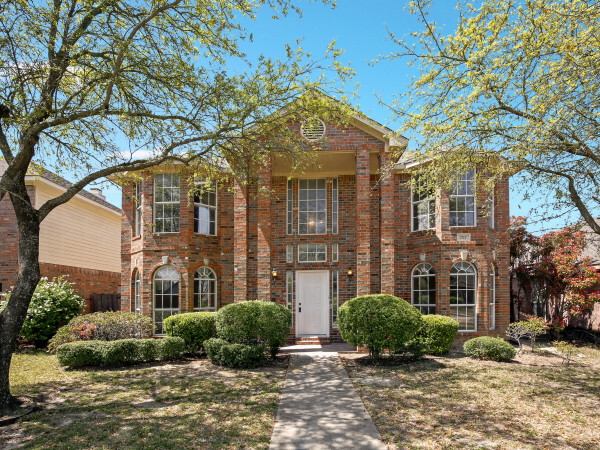 There are as many reasons to love Lake Highlands as there are people who live in this East Dallas neighborhood. 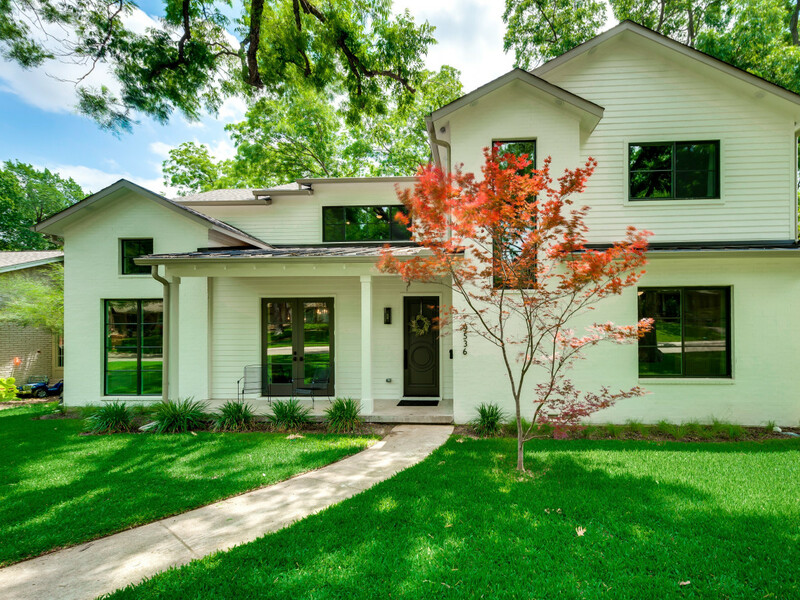 The annual Lake Highlands Home Tour will show off a cross-section of these beautiful houses and the families who treasure the neighborhood. The March 30 event, which runs from 1 to 5 pm, will showcase seven incredible examples of architectural diversity, including an incredible modern home designed by the late, beloved builder Tom Greico. After the home tour, a charity auction will take place at Oak Highlands brewery from 7 to 10 pm, with food and beer from Dog Haus Biergarten and wine from WineShop at Home. 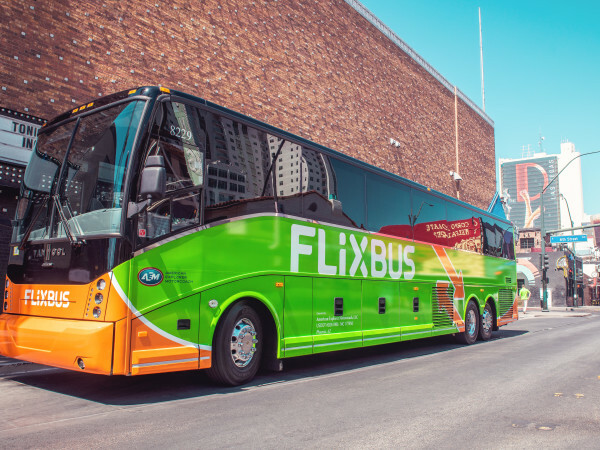 All-inclusive tickets to the tour and auction are $45, and tour tickets alone are $20 per person with bus transportation and complimentary drinks served at each tour stop. Proceeds go to the Lake Highlands Area Early Childhood PTA, which supports programming at Lake Highlands-area schools. All home tourists will meet at Lake Highlands United Methodist Church, 9015 Plano Rd., to be transported by private shuttle from home to home. Take a closer look at each of the tour homes, and then buy tickets here. 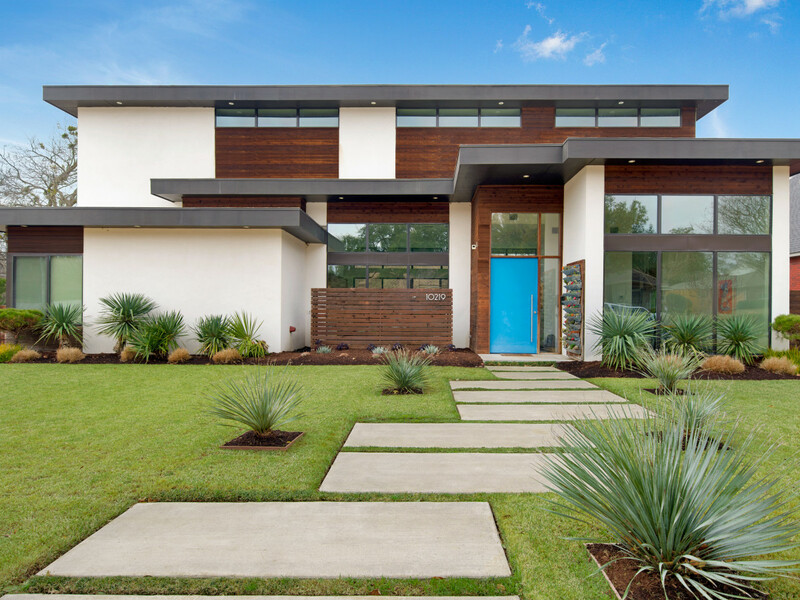 This immaculate home, built in 2013, is a classic Tom Greico design, with his signature strong horizontal lines formed by the flat roofs present on the exterior façades. 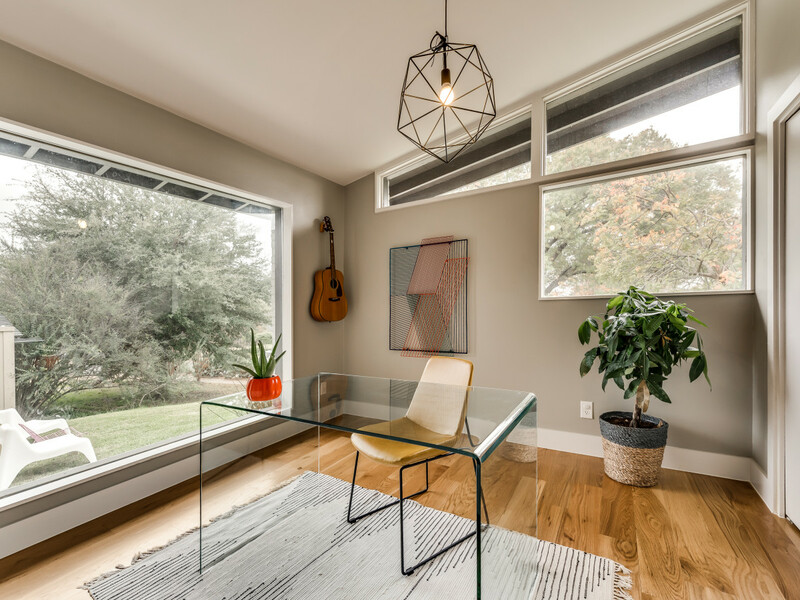 An abundance of natural light comes from perfectly placed transom windows and large expanses of glass throughout that blur the lines between interior and exterior spaces. An open floor plan, high ceilings, and outdoor kitchen are perfect for entertaining guests. Likewise, the sleek, custom-designed fireplace with origami tile complements the chic vibe of this designer home. Reinforced by Greico’s legacy for thoughtful, appropriate, and timeless modern design, this home reminds us of the things that we love about his life’s work. 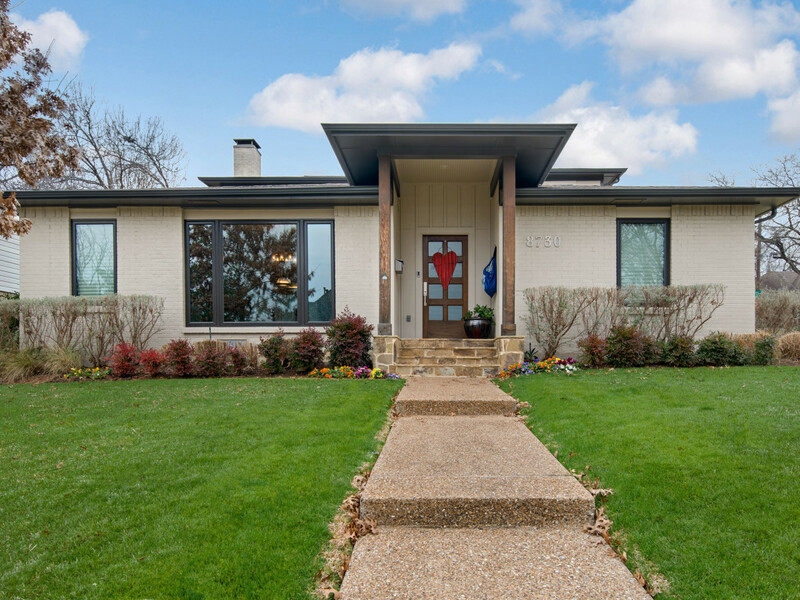 This gorgeous ranch-style home was built in 1974 and fully remodeled by a Dallas designer in 2015. With an expanse of natural light, the home also features tasteful re-milled pine shiplap detailing, quartz countertops, and porcelain floors in the bathrooms. 10809 Villa Haven Dr., con't. 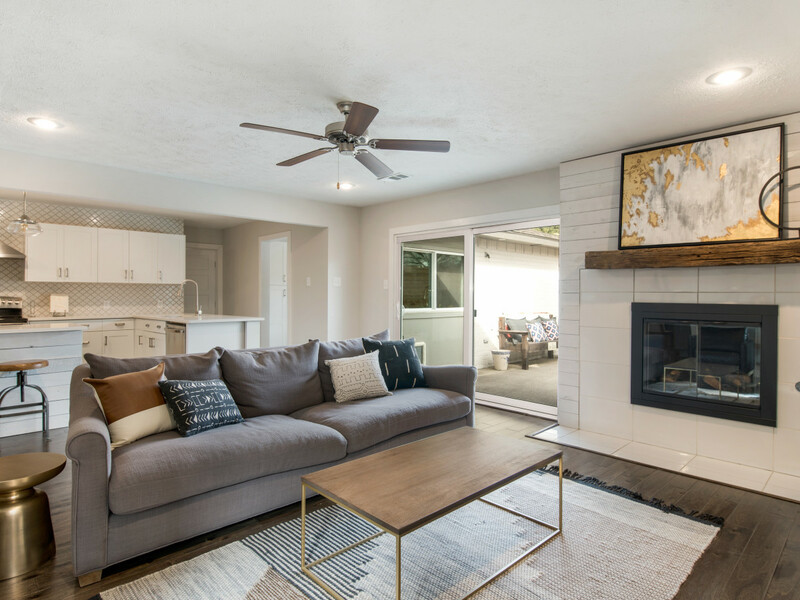 Additional unique features include a reclaimed mantel above the fireplace and in the backyard, a modern gas firebox, and separate grill patio. A hidden doggie door and large butler’s pantry with coffee bar make this home stand out. 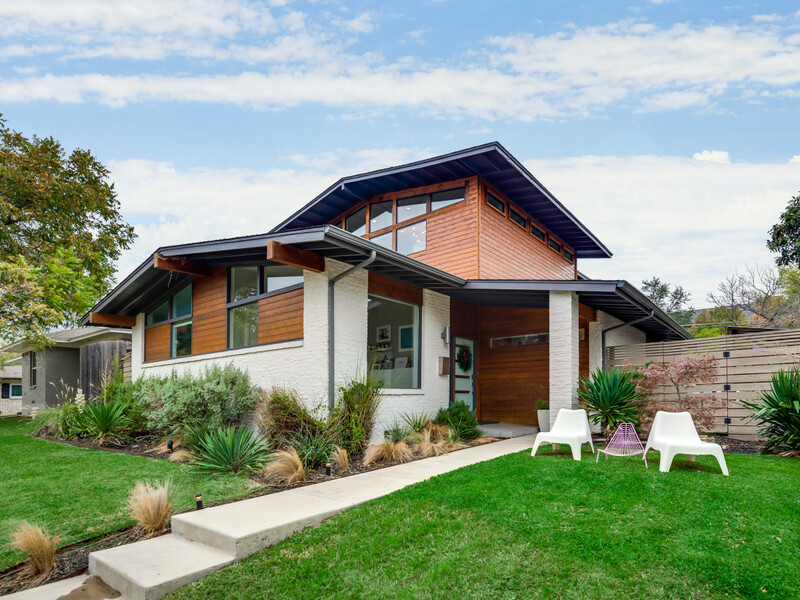 This impeccably updated midcentury modern home was built in 1966, fully remodeled in 2014, and is truly timeless. It features a stunning modern fireplace, unique custom panels, and a beautifully updated kitchen. The 2014 addition included a huge play area for the kids and a home office to envy. This homeowner is also a fashion designer, and her home office is truly a working, creative space. Her sense of style is evident throughout the home with her unique-yet-tailored touches. 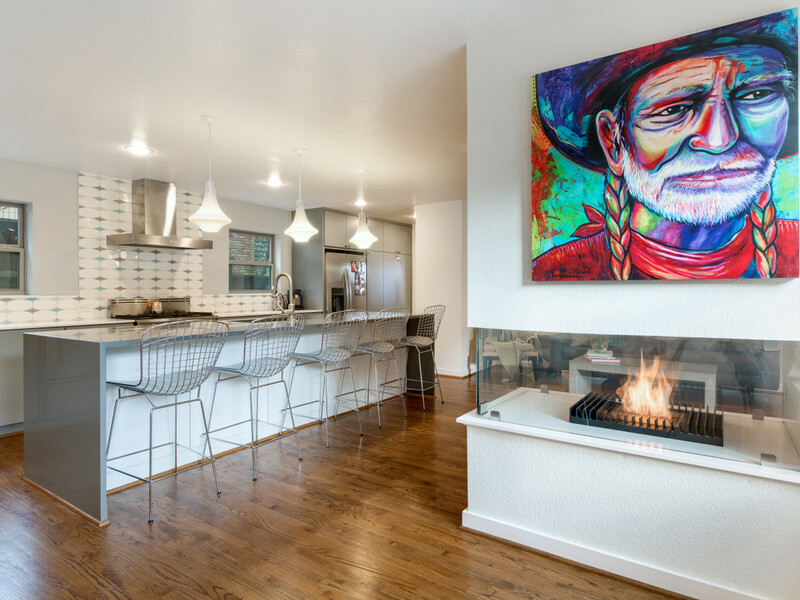 Be sure to notice the incredible artwork in the living room by the talented Lakewood artist Carolyn Joe. 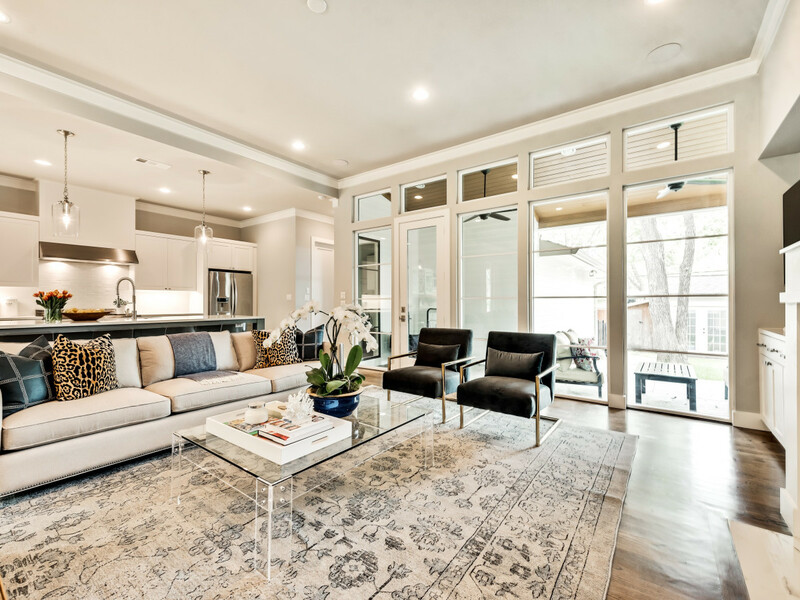 Built in 2016 by New Leaf Custom Homes, this beautiful home features open and natural-light-filled living spaces and lovely personal touches by designer Sara Platt. The backyard has been updated for entertaining and includes a gorgeous pool, hot tub, and an outdoor kitchen complete with a grill and refrigerator. The outdoor putting green really takes this entertainment space to the next level. 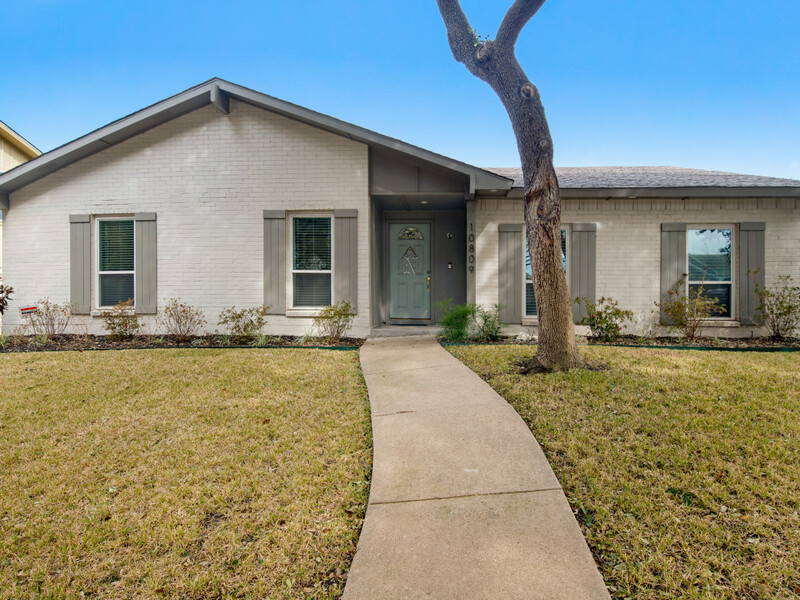 This home is open and spacious, complete with all the touches a modern family could ask for. 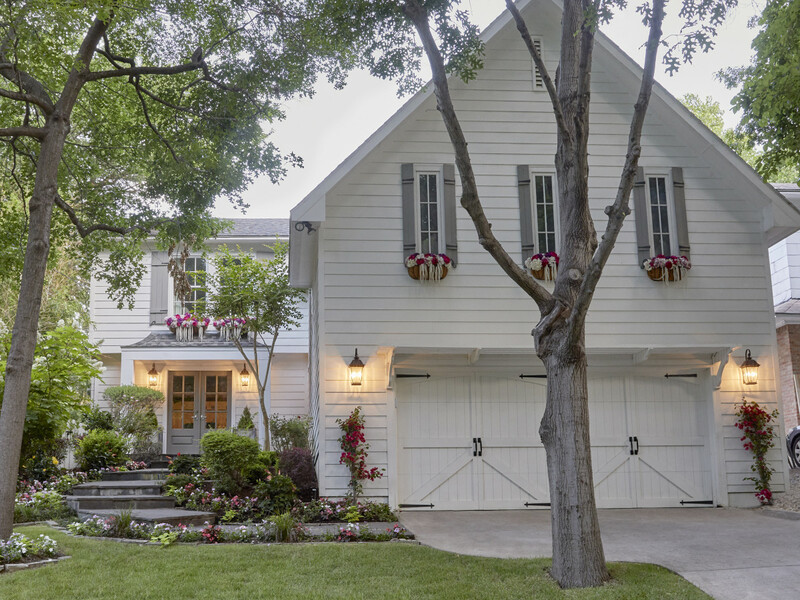 Originally a 1,650-square-foot Lake Highlands cottage with a detached garage, this home was fully updated in 2013 under the direction of local AIA Architect and UTA professor Todd Hamilton. Updates include vast 19-foot ceilings, an added stairwell, and full second floor. It has, however, maintained a vintage feel with original first-floor hardwoods and pier-and-beam foundation. The great room features a 10-foot-wide panoramic folding door by The Glass Doctor, which opens to an amazing backyard entertainment area. You will find many unique touches in this home, such as a clever dog house under the stairs and built-in dog bowls in the island. A creative work-from-home space has been impeccably placed to keep life centralized with an efficient balance. 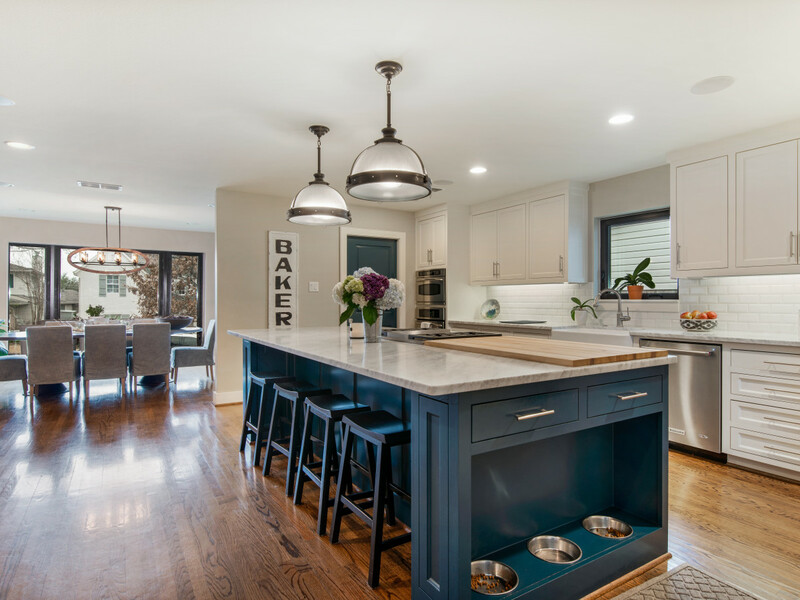 Designer Tracy Martin Taylor with Eleven11 Design has worked with the family to create a home that is functional yet stylish. She describes the style as “transitional with modern touches and rustic charm.” She worked closely with the family to ensure every visitor feels right at home interweaving art and décor that clearly represents their personality. This original midcentury design dream was built in 1959, during a period that scholars recognize as a significant design movement in history. Renovated twice, once in 2014 and again most recently with the addition of the second story in 2017. This home boasts pitched ceilings and interesting lines, natural wood elements throughout the house, with an organic and natural feel. This home is also not short on windows; as you enter the home, you immediately are transported into an outdoor/indoor feel that focuses on the immaculate outdoor living space and modern pool. The owners wanted to bring the element of significant natural light and nature into this home and did so by making sure there were windows lining the walls in each room. Additionally, the owners wanted to keep the integrity of the original midcentury era by enhancing its updates to showcase its unique and exquisite composition of true art. Built to be a place of solace for the owners and their family and also a place of inspiration. 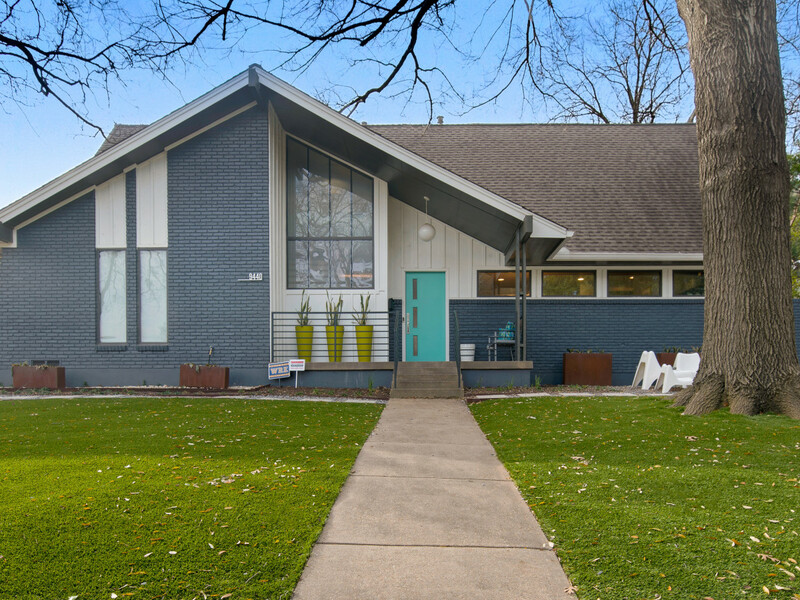 This stunning designer home, owned and designed by Emily Hewitt of Emily Hewitt and Associates, was built in the 1940s in Lakewood and transported to Lake Highlands in the 1970s. Hewitt purchased the home and transformed this quaint house into a must-see space. The designer kitchen will make you feel like you managed to score the best chef’s table reservation in Dallas. The wide-open living room spills into the curated kitchen complete with open shelving and a large island. This home features a double staircase, which divides the study from the main living area of the house, giving a unique feel of privacy but still keeping with the open nature of the home. Wander up the stairs to either find a playful game room even Peter Pan would envy or gorgeous bedrooms full of collected treasures. Make sure you step outside to experience the modern rectangular pool complete with a covered seating area with a warm stone fireplace. 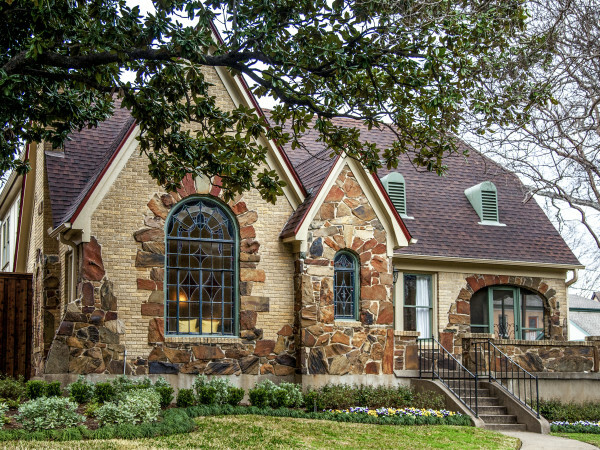 This Lake Highlands masterpiece is a true testament to the importance of renovating the gems in the area and bringing out the character and charm of the neighborhood.